By using Tailspin which provides access to the inner workings of the interpreter it is possible to expand what can be done in these online interactive coding websites. Check it out here: JS problems — How will you fare? Stepping through code in the browser is very cool, but it can already be done with a bit of work by enabling developer mode on your browser and writing your own .html and .js files. What you can’t do is go back in time. A reversible interpreter provides some really interesting opportunities for exploration and education. So far I have focused on algorithm visualisation where reversibility makes it possible to scrub through the execution of algorithms. 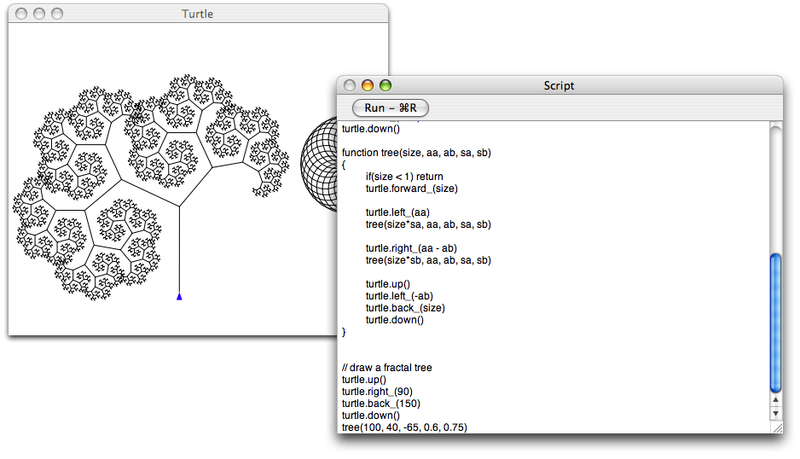 This is not just fun, it transforms the experience of understanding the algorithm. 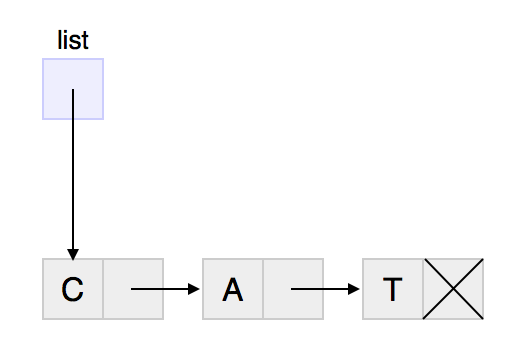 You can see this used to great effect in the Algorithm Wiki and in the depth-first traversal example below. The code that is highlighted on the left-hand side is the actual code that is running. All the visualisations on the Algorithm Wiki have been updated and support reversible execution. You can now scrub through algorithms such as Factorial, Insertion Sort or Fisher-Yates Shuffle. I have also updated the in-browser IDE to support reversibility, so you can step backward through your own code. Even after your code has hit an exception or ended, you can step backwards into the code to see what happened. A while ago I implemented an algorithm from Wikipedia. It turned out it had a subtle bug. A single less-than instead of a greater-than. Unfortunately I spent a long time finding the problem, but it did start me thinking about how to improve pseudo-code on the web. In an interactive medium there is little reason why algorithms should still be presented as static text. Text which can not be visualised, verified or checked in any way. Algorithms are complex beasts and ensuring they are correct is tricky and understanding them takes time. Running an algorithm is essential for correctness and stepping through an algorithm is extremely helpful for comprehension. The above demo lets you play with the algorithm. By clicking you can add/remove walls or drag the start (blue) or end (red) nodes. The shortest route is highlighted by a red line and the searched nodes are drawn from yellow to green by distance from the start node. The options to the right of the map control how the path is calculated. Diagonal movement is considered as the same cost as straight movement, but the tweak diagonal cost toggle adjust the diagonal cost to be slightly more expensive so that nicer looking paths are preferred. This doesn’t alter the length of the found path only the number of nodes searched and the path’s appearance. A tie breaker can be used to decided which nodes with the same estimated cost are preferred. Preferring new nodes is a very simple and efficient tie breaker. The prefer new nodes option toggles preferring new/old nodes, if old nodes are preferred then A* performs much worse especially for empty spaces. The dot product tie breaker is a different tie breaker that chooses paths that are closer to the straight line between the start and end for equal paths. For more information on the A* algorithm and path finding I would recommend Amit’s A* Pages. There has been plenty of interest in MISC, that warrant some quick comments. – The source code is now available here: MISC source (about 3000 lines of Java code and 350 of MISC). Hopefully you’ll find it useful. It might also be interesting/confusing to look at the bootstrap file. – Quoting is required in lamda/let because there are no special forms in MISC. This means that it is possible to write lambda, let and if etc. without macros and also to have the results of an expression provide the arguments for these functions, eg. [let [union &apos;[a:3] &apos;[b:4]] &apos;[+ a b]] which is not possible to write in this fashion in Lisp, because in Lisp let is a special form and does not evaluate it’s first argument. – Creating new things and exploring ideas are always important, which is what MISC achieves for me. MISC has been a long time in the creation. It started when I got sick of XML’s lack of consistent structure and heavy markup. I wanted something consistent and clean like LISP but with a more general basic data structure. This was the initial spark “LISP with maps instead of lists”. After writing some example pseudo code to see what it would look like, I wrote a simple version in a couple of days. Since that speedy start the actual design with the complexities of a language have taken a very long time to finish. I changed the basic structure several times to fix major issues I hadn’t thought of and I switched the design from an eager language to a lazy language which I felt matched the base data structure of maps better. I became interested in how rich metadata as basic part of the language and the source code could enable powerful reflective programming, like documentation built into source code. All these different ideas and designs added up and every time I thought “Would it not be easier if it just worked like language X,” I had to tell myself if it did there’d be no point in writing MISC. Thus the result is not a language for real-world use but one that I hope embodies many different unique and novel design decisions in a way that triggers thoughts and ideas in those that take the time to play with it. 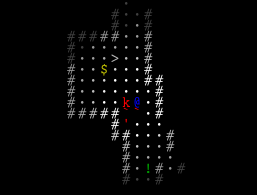 Just for fun here are a couple of applet based roguelikes I wrote a while back. 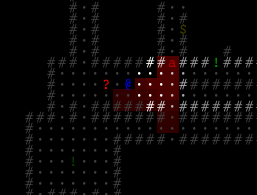 The first is a reasonable example of a simple and concise roguelike. The second is an attempt at a roguelike with directional player facing, it also adds directional monsters, hearing and sprinting. The above-right picture shows an unknown monster sneaking up on the player from behind and an ant, above-right of the player, looking towards the player. I hope these are somehow informative/fun for someone. The source code for both applets is public domain.